Establishing the world of the play or musical may be one of the most important aspects to a successful piece. Whether it be the streets of New York or a land under the sea or the near yet distant future, these worlds need to have rules. And once you break your rules, well, all hell WILL break loose. And that’s Barcode in a nutshell. Set in the future on our planet now known as Earth Corp, people are now considered property, each having their own personal bar code tattooed on their wrist. The bar codes are used to track consumerism and finances of the people of the no-loving society. The high powers of Earth Corp use this data to control the power in the society. 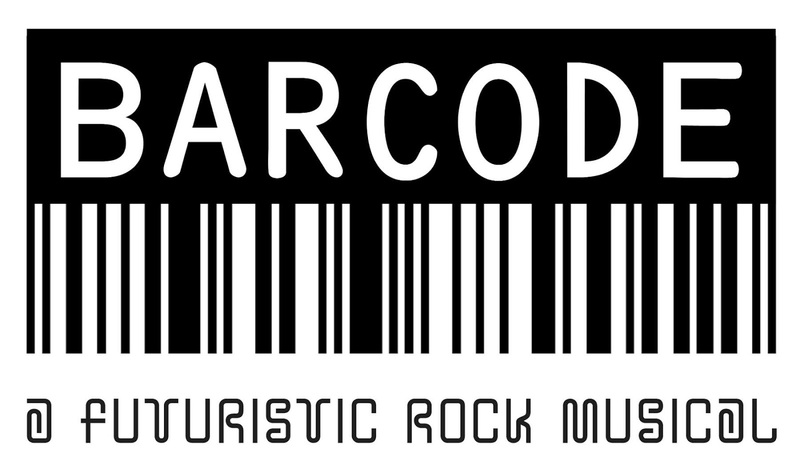 Barcode is a rock musical about a group of young activists, including an unlikely pair of eventual lovers, starting a rebellion. Barcode is about bringing back individualism and fighting the man. And no, this isn’t We Will Rock You. Confused yet? Too much to consume? On the surface, the basic plot to the sci-fi rock show is easy to follow. But there are so many things to track and subplots that don’t get resolved nicely, you have to question what are we supposed to take from it. Debbie Andrews and Mike Blaxill, who wrote the music, lyrics and book, seem a bit over their heads. The music is actually quite awesome and easy to remember when you walk out of the theater, it’s just the words, both spoken and sung, that need some attention. In general, the sci-fi genre can sometimes be difficult to be taken seriously. Add in some unintentionally hilarious elements and you begin to tread between drama and farce. Unless the goal was to not take the material seriously, by the end of the show, we’re given some cringe worthy moments. With songs like “I Don’t Like Him”, performed brilliantly by Matthew Bryan Feld and Adam Shapiro as the two bad guy sidekicks, you can’t help but laugh when they sing and dance about how they literally do not like our hero. Or “The Best” where our rebels are rolling on the floor sucking on marijuana-like lollipops. The main issue is Barcode doesn’t know what it wants to be. And there are too many rules that get broken to justify it. There is such a disconnect from the two acts that there are moments you feel like you are viewing two different shows. Despite the problems within the script, Barcode offers some truly wonderful performances. The entire ensemble is quite strong, but it’s our hero and heroine who stand out. Mairys Joaquin as Dorna has a sublime voice and commanding stage presence. Wes Haskell is charming as Nest. He’s a natural hero with huge charisma. Joaquin and Haskell blend so well together, it’s no wonder you want to root for them. Jeff Tuohy and Raena White did a fantastic job in their smaller parts as Jobes and Malina, two of the members of the rebellious Jammers. Gerrianne Genga did a nice job as Jill Sosmiley, getting through her big number “I’m So Smiley” like a champion. The set, designed by Luke Jones, worked well in the vast space known as the Ellen Stewart Theater. The futuristic inspired pieces moved easily defining the multiple locations. Jones should also get special recognition for the innovative prop design. As a whole Joe Barros’s direction was messy. He did what he could with the script, but he, like the writers, didn’t know what Barcode wanted to be. Additionally at the buttons of each musical number, the audience never knew when to clap or allow the action to start. A simple light shift or obvious start of the scene would have been helpful. There are some worlds that should not be explored in musical. The future is one of them. Rules are meant to be broken, except in musical theater. 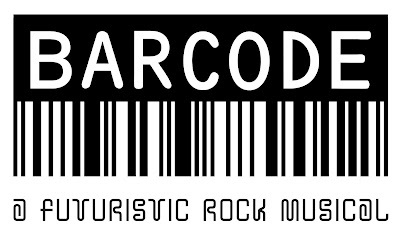 Barcode tried to be innovative, and there’s no way you can fault them for that.